We are recruiting for a General Practitioner for an out of hours position in Melbourne. You will be working as a Locum GP, which will involve after hours, evenings, nights and weekends. Patients are referred by their GP for after hours care or the patient will contact the service directly. Your responsibilities will be to call each patient when you receive the patient details, triage the patient and provide self-care advice until you reach the patient at their home and referring to emergency services when appropriate. Flexible rosters are usually available and you will need to give your availability four weeks in advance. Minimum hours per week are 48. For most Doctors working between 48 and 60 hours per week would mean to see 80 to 120 patients per week and would earn between $8k - $10k per week. You can earn up to $12k per week. This position is not restricted by DWS as it is an out of hours position. 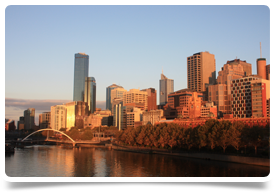 Situated on the banks of the Yarra River, Melbourne is a sophisticated, friendly, multicultural city and is home to people from over 140 nations. Melbourne's bays and peninsulas feature beautiful beaches, fine food and wine, chic beachfront towns and a variety of family attractions. There are excellent schools, public and private, and world-class universities.